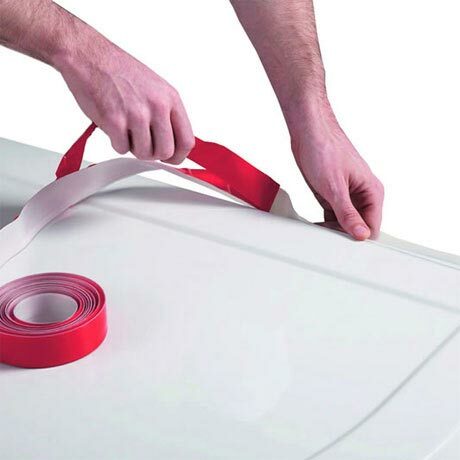 A unique ‘easyseal’ water sealing strip which takes minutes to install. All trays should be installed with a sealing mechanism to prevent water seeping between the tray and the wall. This is especially true in bathrooms with wooden floors where floor movement is far more likely. Supplied in a generous 4.1 metre length the strip is cut to size when sealing the shower tray.